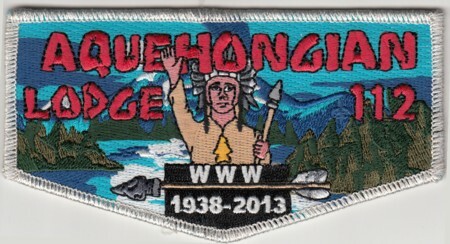 Five years ago I was posting about new issues for the then upcoming 2012 NOAC, Here is one from Aquehongian Lodge #112 2012 NOAC Limited Fundraiser Set the S40 X13. 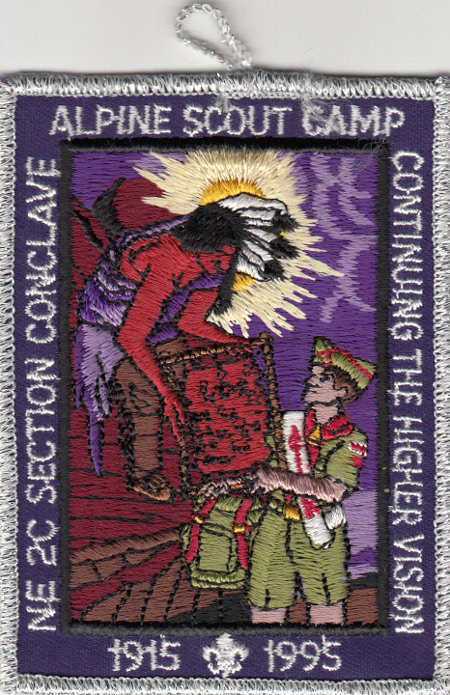 Frank Mullane reports that this version is a limited fundraiser limited to 50 sets and only available with the purchase of the full set of Aquehongian NOAC issues. This is the third of the three sets. Now I’m looking for information about issues for the 2017 Jamboree, what is your lodge issuing? 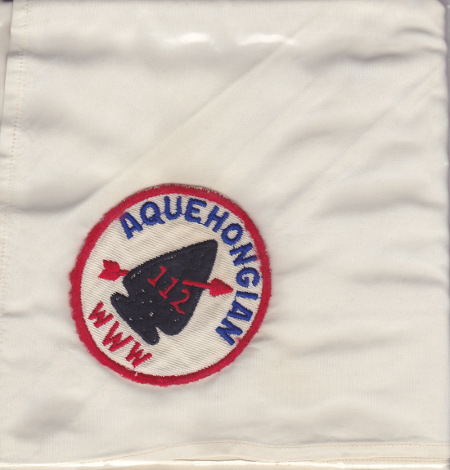 The image below is not currently displayed on OA Images, it is an example of the Aquehongian Lodge #112 R1b, this one is on a neckerchief. I’ll post the image to John’s site too. 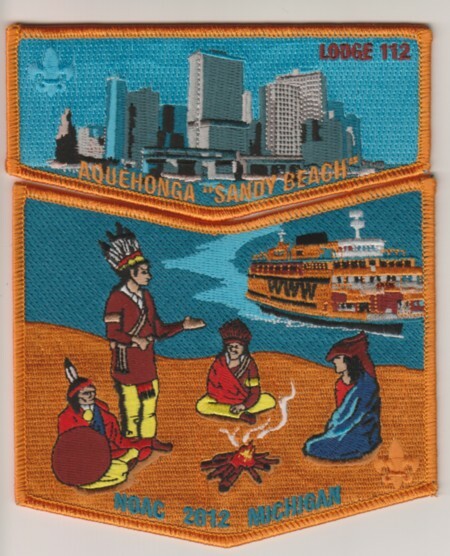 Kintecoying Lodge #4 in conjunction with the Ten Mile River Scout Museum has issued their first jacket patch and historic flap set commemorating the legacy of service of the Order of the Order of the Arrow in NYC. 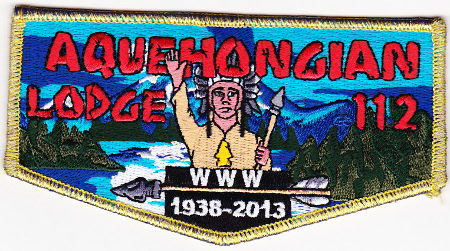 The Kintecoying Lodge #4 and the Ten Mile River Scout Museum commemorates A Legacy of Service by issuing this unique fully embroidered 6-patch set composed of Kintecoying’s First Jacket Patch and 5 historic flaps, one for each of the legacy lodges. This is the final flap in the series. You can currently purchase a set here. Here is another image from Tom Wadnola, this one from the Section NE-3 1983 Section Conclave. 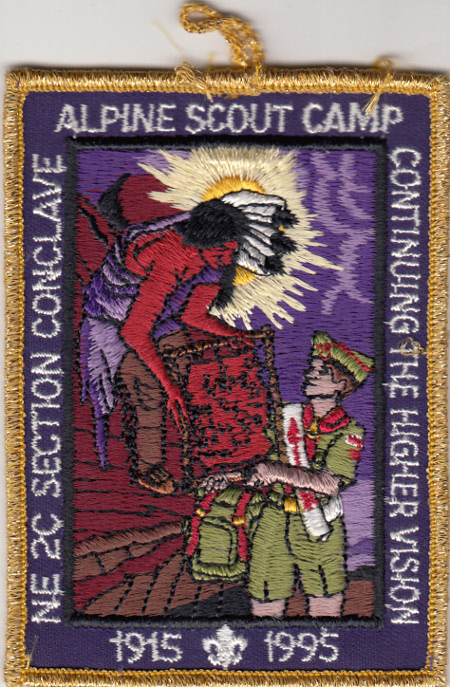 The Conclave was held at Ten Mile River Scout Camps. 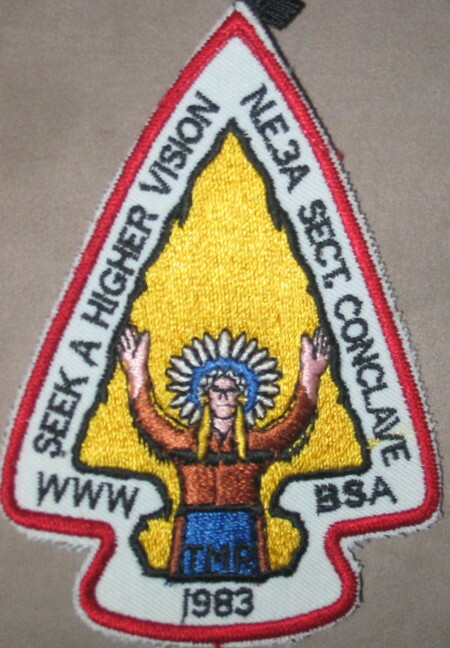 The theme was Seek A Higher Vision. To the best of my knowledge, this was the only issue from that Conclave. If anyone has information on any other issues from this conclave, let me know. I previously wrote about the final banquet for Aquehongian Lodge #112 which took place a couple of weekends ago. The end of an important 75-year piece of Boy Scouting history on Staten Island was marked Saturday in the Staaten, West Brighton. Aquehongian Lodge 112 of the Order of the Arrow, Boy Scouts of America, celebrated both its 75th anniversary and the end of its tenure as a full, independent lodge. Anyone have one for trade? 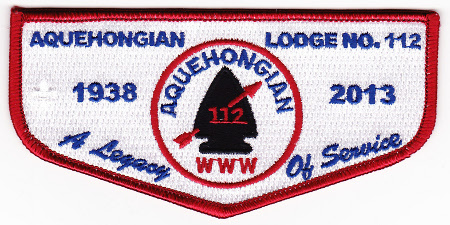 The Staten Island Advance had an article on the final Aquehongian Lodge #112 Banquet. One of the last events for Aquehongian Lodge prior to the Five GNYC Lodges merger into Kintekoying Lodge #4 next month. I had previously written about the 1995 Section NE-2C Conclave which was hosted by Aquehongian Lodge #112. 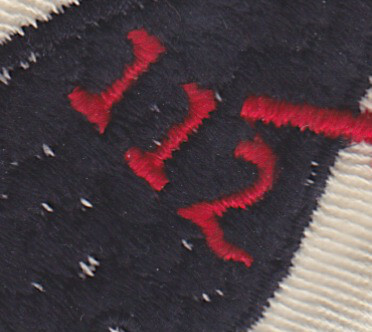 In the post I had indicated that there were three pocket patches, but only pictured one. Here is the SMY-bordered version which was issued for the staff. There was also a GMY bordered version which I believe was a COC or VIA issue. Can anyone confirm the reason for the GMY border? I’ll update the original post with these images.